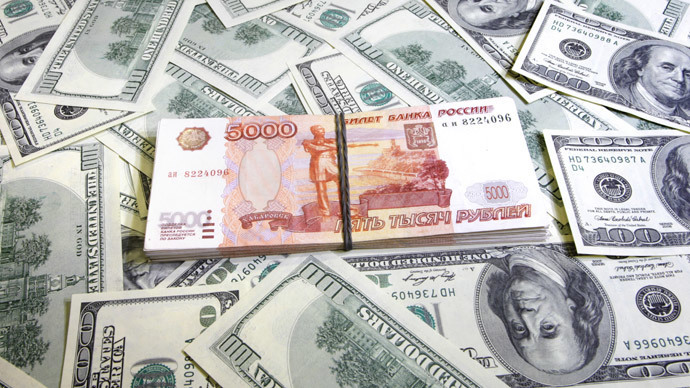 The Russian ruble, which hit record lows against the US dollar and euro this week, will strengthen its positions in the near future, Russian Economic Development Minister Aleksey Ulyukaev said. 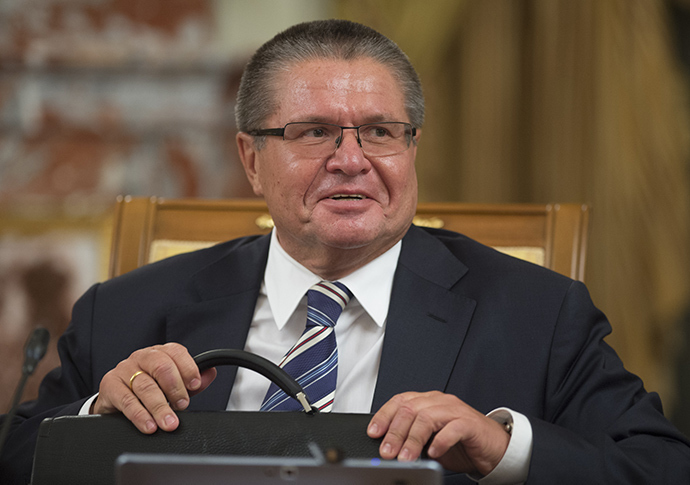 “The [ruble’s] exchange rate has long passed the price that can be called the ‘equilibrium price.’ In this sense, I think that the ruble really is oversold, and one can expect the ruble to move in the opposite direction in the short term,” Ulyukaev told journalists in Beijing, China, where he had arrived for the 25th APEC summit. 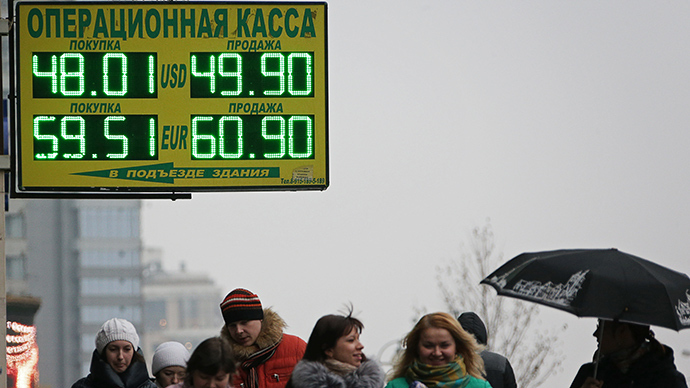 The ruble reached a record low of 48.65 against the US dollar and 60.27 against the euro during trading Friday. The rate then improved to 46.70 against the US dollar and 58.22 against the euro by the end of the day. His answer echoed previous statements by Russian President Vladimir Putin and Central Bank chief Elvira Nabiullina, who have both said that there are no plans to impose currency controls. 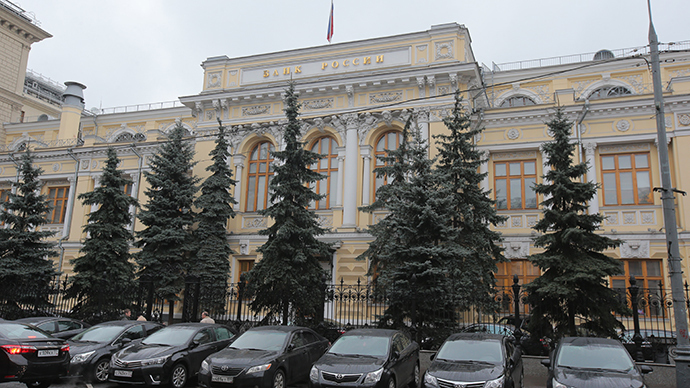 Ulyukaev also backed the decision by the Central Bank to introduce the floating exchange rate for the ruble in 2015, despite the current problems experienced by the currency. "There may be different tactics.That tactic, which is now applied by the [Central Bank], is rational and must bring results,” he said. 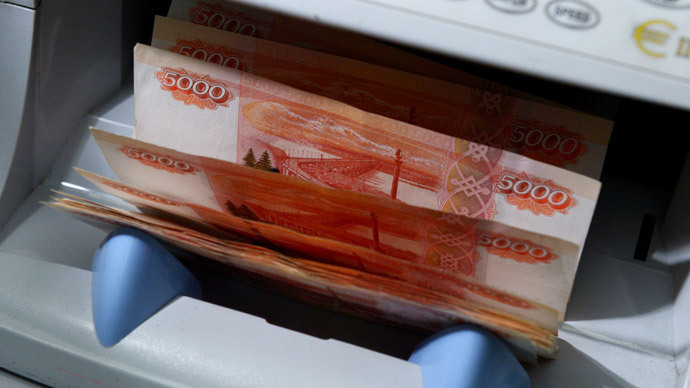 The current devaluation of the ruble won’t make a significant contribution to the growth of Russia's GDP, as happened in 1998, the minister said. There will merely be a short-term stimulating effect due to import substitution because the ruble expenses are increasing competitiveness relative to imported goods. “But one shouldn’t expect greater effect in the long term” because – compared to 1998 – Russia has high utilization capacity of 72 percent and a lack of unemployed labor resources. 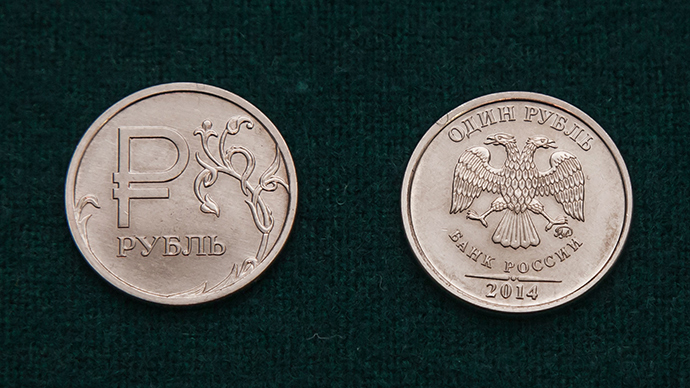 The minister also acknowledged that the inflation rate in Russia in 2014 will exceed the forecasted 7.5 per cent. “According to the latest data, we now have the inflation of 8.5 percent. It’s unlikely to be any less” by the end of the year, he said.